Anyone can face problems at work sometimes but if you are a member of UNISON, you don't have to face them alone. We can provide advice or representation on things like pay, rotas, leave and sickness procedures. We are also there to help you make sure your workplace is healthy and safe, support you in case of disciplinary action, dismissals or redundancy. We are also there to support you throughout any grievance or sickness absence procedures. Every member of UNISON belongs to a local branch which is made up of people working for the same employer ­or sometimes working for the company which is used by the main employer. Branches hold regular meetings, including an annual general meeting. This is how people get elected to the branch committee and other UNISON structures. Most people join a union because they want protection at work - help with pay and conditions of service, legal or health and safety advice or representation in case things go wrong at work. That's what we're here for. 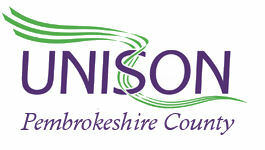 UNISON negotiates on pay and working conditions at every level - local, regional and national. But we also do a lot more. Being a UNISON member gives you a range of benefits and unbeatable deals. Every member of UNISON belongs to a local branch which is made up of people working for the same employer. Local stewards are there to represent you at work and help find the answers to your problems. They are volunteers and play a vital role in recruiting new members and organising your branch. If you have a problem, talk to your local steward. If they can't handle the problem on their own, they can talk to other branch officers or full - time union experts on your behalf. Alternatively e-mail us.